As if fashion wasn’t already synonymous with environmental excess. 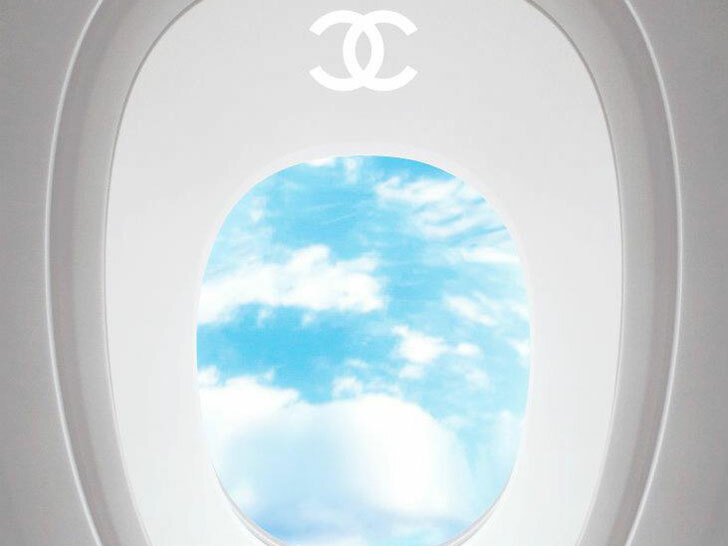 Karl Lagerfeld commisioned a life-size aircraft to house Chanel’s Spring/Summer 2012 couture show inside the Grand Palais in Paris on Tuesday. Subtlety has never been the designer’s strongest suit—this is the man who flew a 265-ton glacier to the City of Lights on a whim, after all—but the display of such extravagance in a depressed economy feels gauche even by the most liberal standards. Set designers didn’t just spend five days constructing the plane (or at least, the innards of one) from anodized aluminum. They also outfitted it with an extra-wide 164-foot aisle, 180-degree swivel seats for 250 high-profile guests, double-C monogrammed carpet, a holographic cockpit, and a slatted roof that revealed a vista of clouds. Mon dieu! To complement the mile-high theme, models trotted out in myriad shades of blues, from pale washes of eggshell to the glossiest of indigos. 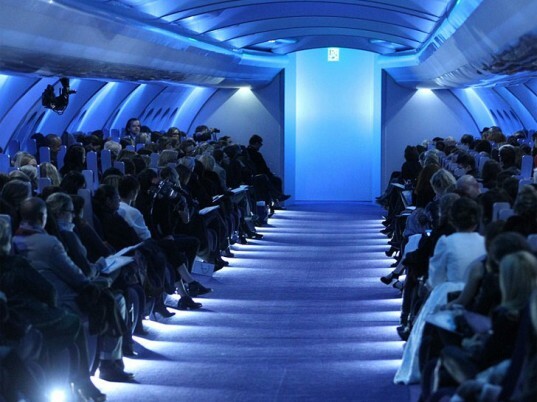 One small consolation: Because seating was so limited, the show had to be staged twice to accommodate first-class “passengers” like Cameron Diaz, Elizabeth Olsen, Daphne Guinness, and Diane Kruger, in addition to the high-powered editors who weren’t bumped off Air Chanel. No word on the fate of the set when it’s unceremoniously thrown away, as it most undoubtedly will be. This is one flight that will be permanently docked at the scrap heap.